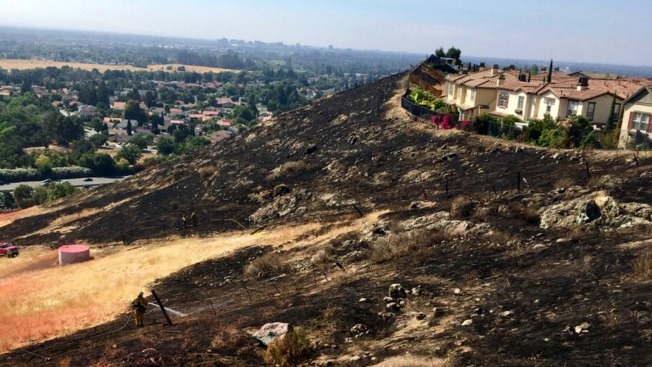 Firefighters in San Jose on Saturday managed to control a vehicle fire that quickly spread to nearby brush and came within feet of burning hillside homes, according to fire officials. The initial car fire ignited along northbound Highway 101 near Yerba Buena Road before spreading, according to fire officials. The subsequent brush blaze is estimated to have charred roughly seven acres of hillside before firefighters corralled the flames. Footage from the scene captured burn areas directly behind a number of homes perched on top of a hill.